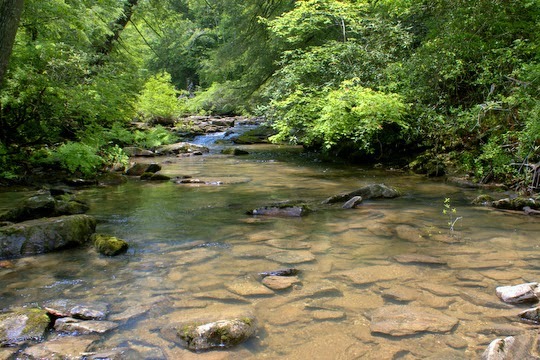 Here on the Cumberland Plateau, we are blessed with a wide variety of fishing options, but the best are the remote smallmouth bass streams. 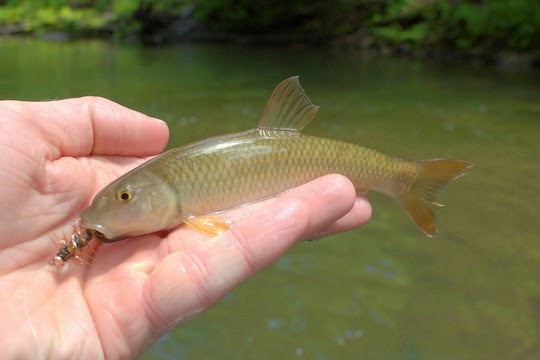 Many of these almost remind me of fishing in the Smokies, and if it wasn't for our very different geology resulting in different rocks on the stream bottoms, you would be hard pressed to find any differences between the two. 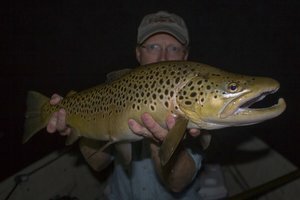 Last week, I got to thinking about a little creek that I've crossed many times on my way to smallmouth fish on a larger stream. This is one of those little streams that you often wonder about but rarely ever get around to actually fishing. So instead of continuing to wonder, I decided to do something about it. Friday morning I ate a quick breakfast, filled a couple of water bottles, and headed out the door. Arriving at the stream and rigging up, I noticed the clouds were lowering and looking pretty solid. Sure enough, a quick downpour was soon soaking everything making me glad I had put on a rain jacket. It didn't take long for a little fish to hit. Thinking I had found my first smallmouth, I was soon looking at a Coosa bass. Well, that makes sense. 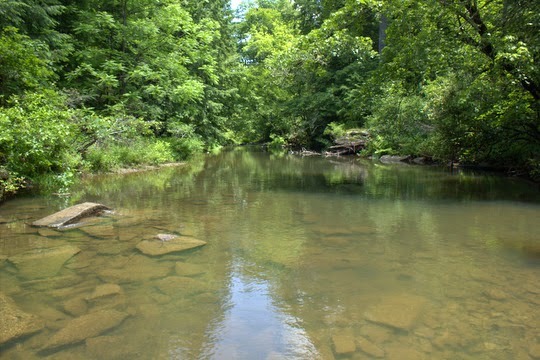 The creek I was fishing emptied into a large stream where I have caught a lot of Coosa bass over the years. What was strange was that I kept catching the Coosas and never once caught a smallmouth. 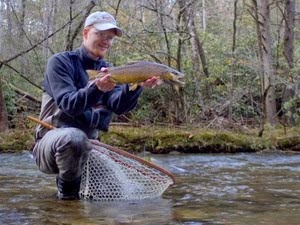 The fish were all small, reminding me even more of fishing in the Smokies on some of the brook trout streams I frequent. 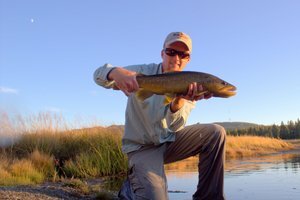 Catching small fish is just as much fun as catching big fish, just without the adrenaline rush you get with the larger specimens. Best of all, these fish acted like no one had ever tried to catch them before. I'm fairly confident that none of them had ever seen a fly at the very least. Continuing downstream, I stopped periodically to take pictures of my surroundings. Every now and again I could hear a truck go by out on the nearby road but otherwise I might as well have been 50 miles in the backcountry. This was one of those pristine streams where you can fish all day and catch more fish then anyone probably has a right to expect. Continually changing in character, the creek would sing happily over the rocks one minute, going from shadows to sun and back to shadows again, only to drift lazily into long pools the next. The pools were often mysterious, stretching on for what seemed like an eternity on such a small stream and often merging with the forest so that you could never be sure where the end of the pool was and whether it flowed into the surrounding jungle or merely under the overhead canopy. 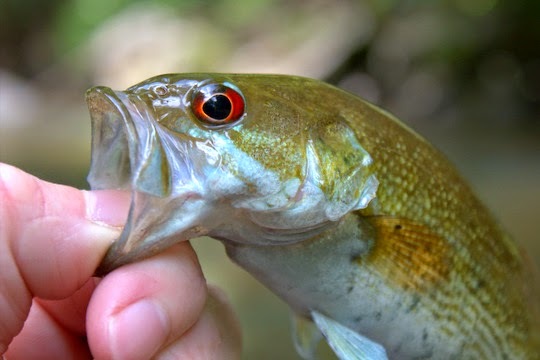 There were a few surprises like the rock bass that came out from under a rock to slam the wooly bugger. The chubs were surprisingly beautiful and impressed me with their prominent dorsal fins. Eventually I got hungry of course, and decided to take one last picture before cutting up through the woods to find the unmaintained trail back. 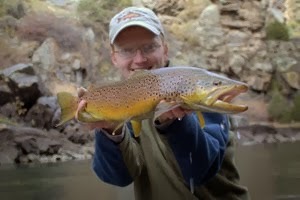 While I had a lot of fun and will probably fish this stream again just because I like exploring, I'll probably put a lot more time in on some of the smallmouth streams that are known to put out some larger fish. When I want to scratch the creek itch though, I'll know where to go! I did a brook trout survey a couple years ago and we found 2 smallies way up past where they had every been found before. The biologist said he's seeing this more and more. He figures in 10yrs smallies will be in places no one ever imagined. Kevin, the only thing keeping them from moving up on a lot of streams I frequent are the natural barriers. Wonder how long those barriers will help? David, new one for me. I have never heard of Coosa Bass until today. Delightful looking little Bass and beautiful small stream surroundings. Thanks Mel! They are a lot of fun. 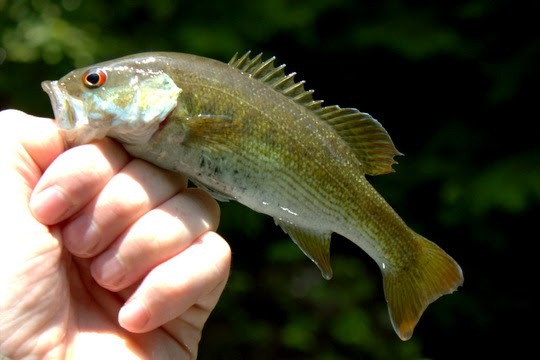 I've never caught any type of bass on a river. That would be exciting! Thanks Kristen! 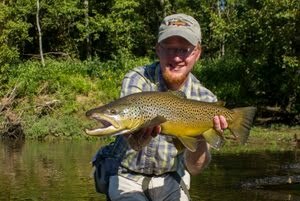 That is a stream I never got around to fishing out there but if I ever make it out again I might have to change that.